NHL News : Sullivan updates the status of Malkin, Schultz and Aston-Reese. Sullivan updates the status of Malkin, Schultz and Aston-Reese. Big update from the head coach. The Pittsburgh Penguins are currently nursing a host of injuries and with several teams hot on their heels in the race to make the 2019 Stanley Cup Playoffs they could really use some good news in that regard. The news on Monday for the Penguins was a mixed bag but you certainly will be able to walk away from today's announcements feeling pretty positive. 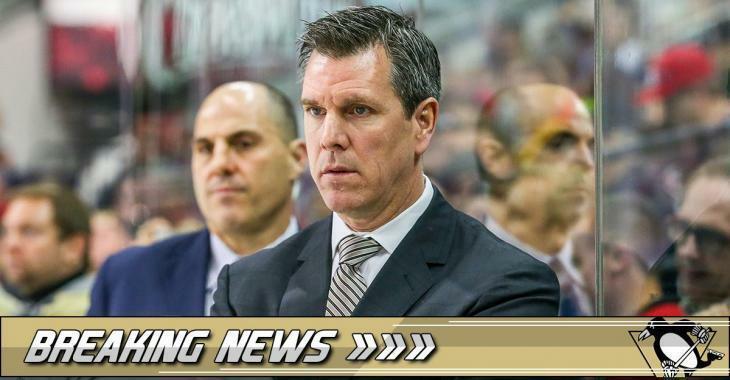 Speaking to the media this morning Pittsburgh Penguins head coach Mike Sullivan provided updates on the status of three key injuries, the injuries to forwards Evgeni Malking and Zachary Aston Reese as well as defenseman Justin Schultz. We'll start with the band news first. Many were hopeful that defenseman Justin Schultz would make his return to the line up on Saturday when the Penguins faced off against the Lightning, but that did not come to fruition. Schultz had participated in practice with his teammates on the Friday prior to the game but it appears that he is still not ready to make his return. According to Sullivan Schultz has been ruled out, a frustrating announcement when you consider he has not played since suffering an injury against the Canadiens back in mid October. Aston Reese on the other hand has been out of action since early January and it was relatively bad news on his front as well. Although Aston Reese did take a step forward in practice by shedding his non contact jersey, he has also been ruled out of tonight's contest against the Philadelphia Flyers by head coach Mike Sullivan. There's no definitive game earmarked for his return but you have to imagine that he's only a few days away at the very most at this point. Last but not least we did get some good news from Sullivan on Monday and that came in the form of an update on the status of star forward Evgeni Malkin. Sullivan would not officially confirm that Malkin would be back in the line up in time for the Penguins interstate rivalry game, but he did go so far as to say that it was "probable" that Malkin would play this evening at that he would be a game time decision for the Penguins. It likely won't be made official until the Penguins hit the ice tonight.